Outdoor arbors launch your living space into another dimension….the vertical! A wood arbor serves many purposes creating a shade or weather shelter, a privacy screen, plant support and landscape accent. You don’t have to limit your livable space to the indoors. Creating a simple or complex arbor can bring the outdoors in, and frame a dramatic view. 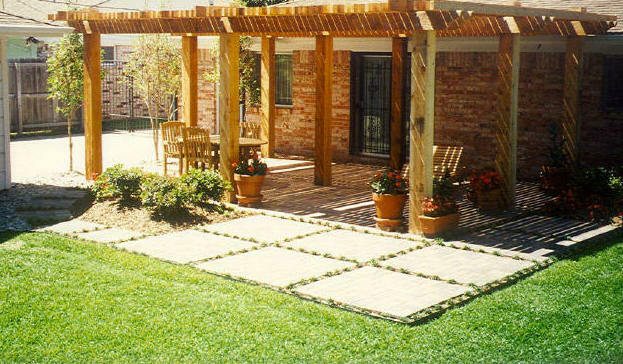 Whether formal or naturalistic, either for family gathering or for entertaining guests, let us design and build a beautiful arbor for your patio, pool or garden area that is sure to bring enjoyment for years to come.